Yes, George Washington slept here. Just not here. The structure was originally located on what is now North Carolina Highway 86 just south of the Virginia state line. 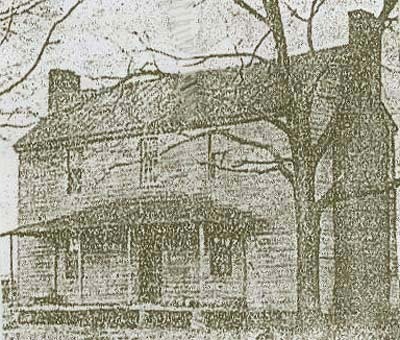 Originally, it was the home of Revolutionary War veteran Dudley Gatewood (b.1747-d.1836). Washington was taking a tour of the Southern states in the spring of 1791; while traveling through North Carolina, after departing Guilford Courthouse (near present-day Greensboro) at four in the morning, his party traveled through present-day Rockingham County (which was then still part of Guilford County), where he ate breakfast at Troublesome Ironworks; his entourage then became somewhat lost and ended up traveling 12 miles out of their way. Late in the day of June 3, 1791, Washington's party arrived at "one Gatewoods within two miles of Dix' ferry over the Dan at least 30 Miles from the Ironworks." He spent that night at Gatewood's, and "left Mr. Gatewoods about half after Six oclock--and between his house & the Ferry passed the line which divides the States of Virginia and No. Carolina." His party then returned to what was then the national capitol of Philadelphia, Pennsylvania, via Virginia. The structure was apparently moved from its original location sometime during the late nineteenth or very early twentieth century, to a location not far from its original site. The house remained in the Gatewood family until 1918, when the last family member to own the property, Robert Whitfield Gatewood (a.k.a. "Whit," the great grandson of Dudley), died. The local Daughters of the American Revolution chapter became aware of the structure's history in the 1920s, and by 1924 it was described as "periously near ruin." The owner at the time (E. W. Carter) had it restored/renovated soon afterwards. By the 1970s, the structure had again fallen into disrepair. James Freeland moved the structure to its current location in Hillsborough in 1978 and had it restored/renovated. 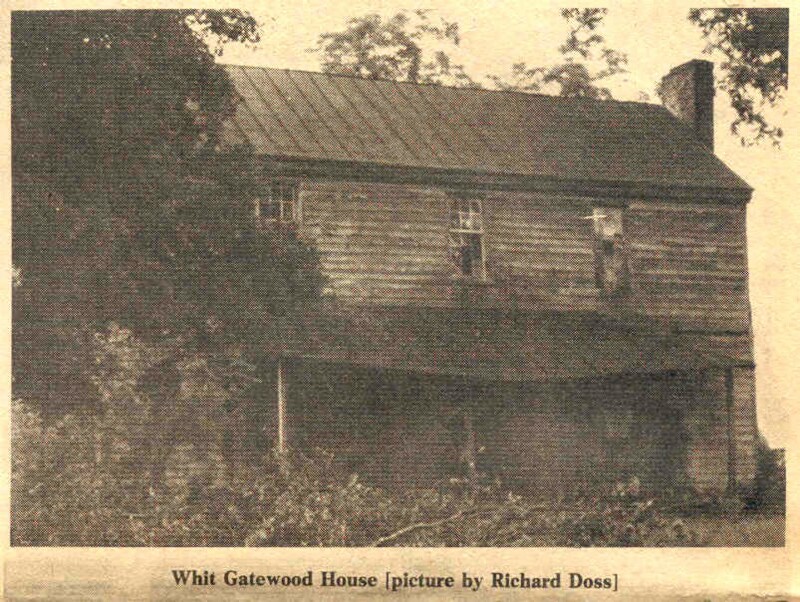 It was initially the Gatewood House Restaurant and Tavern, but is now a Mexican food restaurant [...] located on the edge of Daniel Boone Village near the intersection with South Churton/Old NC 86 and James J. Freeland Memorial Drive. The Mexican restaurant was Casa Ibarra; as of 2016, it is Pueblo Viejo, which seems appropriate.